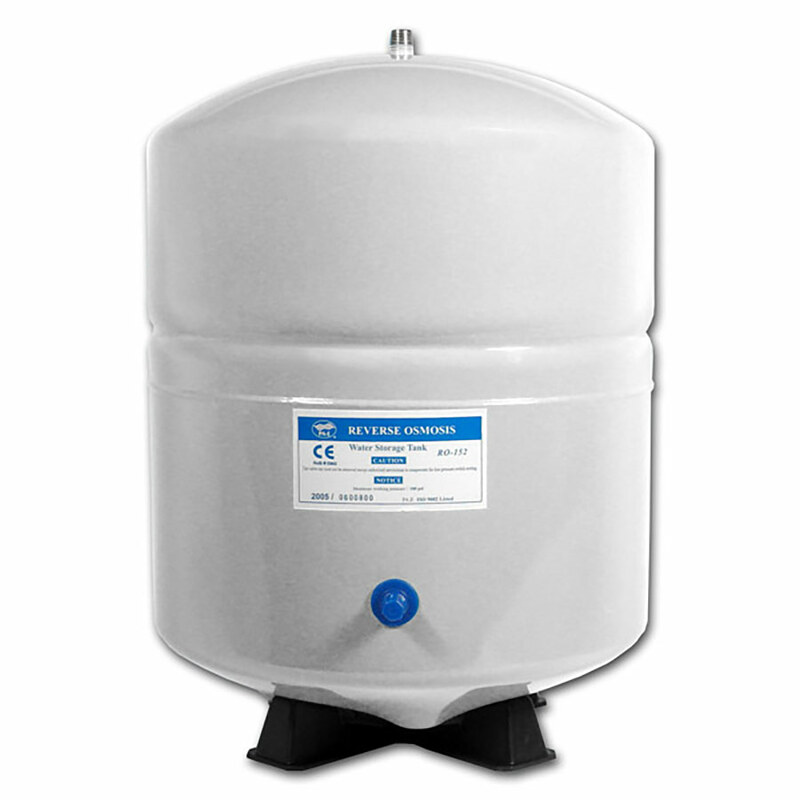 4-Gallon White Steel Bladder Tank with 1/4" NPT connection. This tank is made by PA E and is NSF Certified. 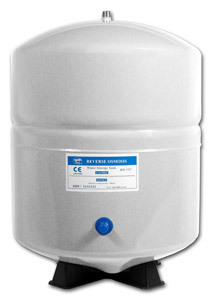 RO-152-W can be used as a replacement part, upgrade, or additional tank for any Reverse Osmosis System. NOTE: Add 1-1/2" vertical clearance for valve. Dimensions: 16" (H) × 11.5" (D) Weight: 11 lb.